SOOW cables are meant for use with average types of equipment or portable tools like small motors or portable appliances. You should know that the presence of "W" at the end of "SOO" denotes that this type of cable is also water resistant. On the other hand, type W cables are often intended for heavy use. It means that in case you are working in large companies and there is a great need for tough cables for very demanding uses then you should use a Type W. In many cases Type W cables are very useful in conveyors, lifting magnets, loaders, large cutters, pumps, drills, diesel electric locomotives, cranes, and a lot more. 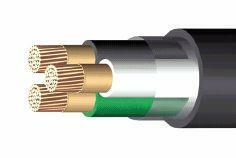 Since they are more flexible and durable, this heavy duty cable is very ideal for tough use.